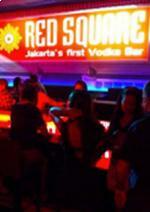 Jakarta’s Best Party Bar - is located in 285 square meters on the first floor of Plaza Senayan Arcadia. Our market is fashionable and cosmopolitan - a mix of fun-loving Indonesians, expatriates and the young trendsetters.Red Square is a vodka bar serving 40 ml shots, and we have an extensive selection of award winning vodka cocktails. Red Square has recently upgraded our interior and we added an all new Martini Bar in the front lobby, featuring 22 Martinis – some classic and others created by our talented bartenders – winners of several Bar Flair and Cocktail making competitions. The interior of Red Square is modern and built to PARTY! The interior space is fully air-conditioned and the interior color scheme is red, silver and black, with stainless highlights and the latest in color changing kinetic technology. A state of the art EAW audio system powers the party and our four famous resident DJ’s spin classic disco, house and progressive dance music. A long nine meter vodka show bar is where our bartenders WOW our guests with a nightly Bar Flair & Fire Show! Red Square is a bar, lounge and club concept with comfortable sofas, ottoman-poufs, coffee tables and bar stools. Come in and check out the new back bar, which is like a 3D skyline of Red Square in Moscow. 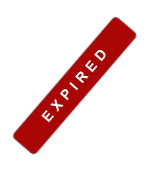 One Fifteenth Coffee,Nav karaoke, Now you will always be up to date of all events & accommodations and take advantage of all the promotions. With jakarta-events.com you'll never miss any event and always get beneficial in your spendings.